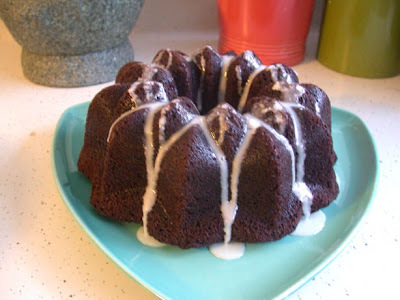 Here's the chocolate cake I made with my Amish Frienship Batter. It turned out really lovely. The recipe is here. Unfortunately, my first try with one of my own starters was not so lovely. 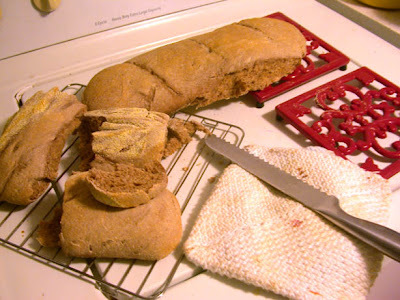 I spent the better part of two days working on this sourdough french bread. It rose beautifully, baked nicely, and then tasted like sour milk. I think it's just the flavor from the starter since it was made from sour milk - although I may have also let it overrise, and I'm not sure yet how that affects sourdough bread.